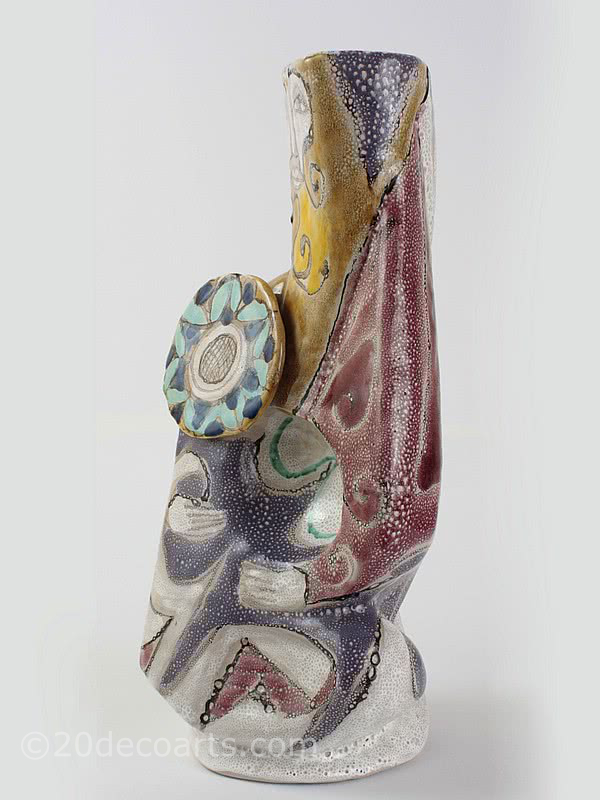 A large Elio Schiavon hi-glaze figurative sculptural ceramic vase, "Guerriero", Italy circa 1960, the body decorated in enamels with applied disc. 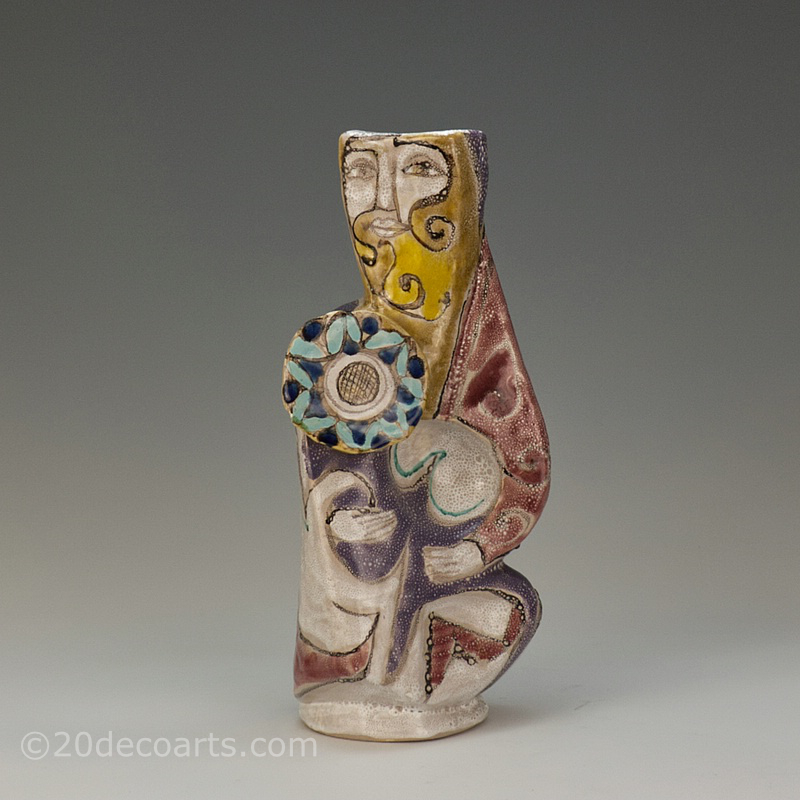 Elio Schiavon studied at the Scuola d'Arte Ceramica di Nove, opening "Schiavon Ceramiche" in Padova, Italy in 1954 and then winning many awards in exhibitions and Venice Biennales until his death in 2004. Schiavon's works are part of important private and public collections.